Letter #2: Happy B-day Mom! Hey everyone! 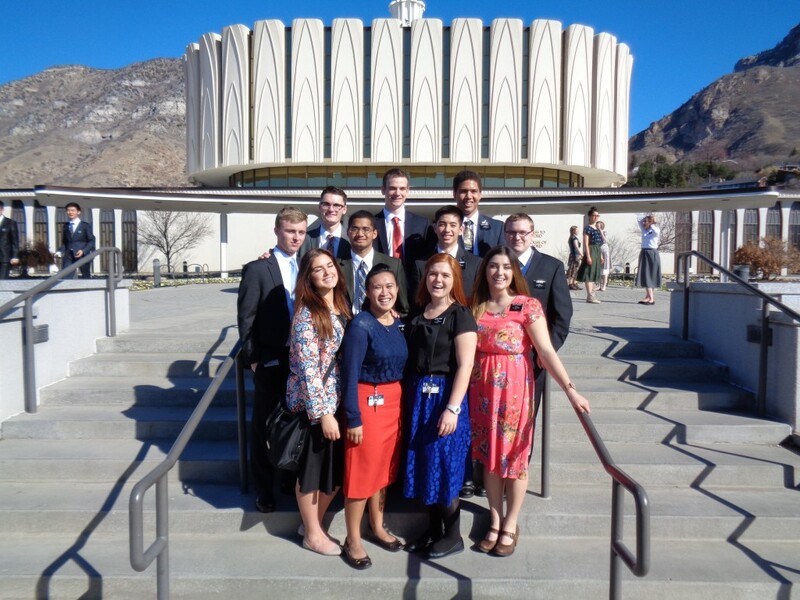 First, let me say my third week here at the MTC has gone by pretty fast. It seems like just yesterday I wrote everyone. Studying everyday is a little intense and I’m having a little trouble speaking Japanese but reading and understanding what people say is the easiest thing. The days I look forward to the most are Sundays, Tuesdays, and Thursdays. Sunday and Tuesday always have amazing devotionals and choir practice which is fun. This Tuesday we sang Consider the Lilies by Roger Hoffman and it was very powerful. The tenor part was a little high but it was fun nonetheless. Of course Thursdays are great because that’s P-day! My district consists of 4 shimai (sisters) and 6 choro’s (elders) including myself. The shimai are great, however the choros are a little wild and act like 18-year-olds, which is to be expected I suppose. It’s a little bit hard to stay focused when they are having loud conversations all the time. I’d say the dominant color of my district is Orange. But they all are really nice people and the conversations are always funny or fun to listen to. My teachers are Wilson-kyodai and Bingham-kyodai. Both are really great teachers. My favorite part of the day is when we are learning new things in the classroom, new grammar and words. Let me tell you about my first teaching experience in Nihongo (Japanese). It was terrible. It happened on my first week but I forgot to mention it because I wanted to block it from memory. We were supposed to teach this one guy named Shibata-san (who we later found out he was our teacher, Bingham-kyodai) but he had to leave early and Leech-choro and I had to teach this one nihonjin (Japanese) guy without any background info. We had to use our lesson for shibata-san. It went horrible, the kyudosha barely spoke and we kept fumbling around in books. It was a little stressful. Good thing after that we never had to see him again (hopefully)! We then taught Bingham-kyodai for 3 lessons and have gotten a little better. Now we are teaching two new kyudosha and its way more difficult. But I feel like we are making progress.